The Dao of Neuroscience - Description | W. W. Norton & Company Ltd.
Neuroscientists have made huge advances in our understanding of the brain, and yet as scientists learn more, paradoxes arise. How does the brain—a material substance—relate to and produce nonmaterial thoughts and emotions? What explains the research showing that non-rational, unconscious experiencing can sometimes be more accurate than deliberate, conscious thought? The resolution of these paradoxes has important implications for all the helping fields, suggesting new approaches to mind–brain–body change. By weaving together Eastern traditions (including Yoga, Buddhism, Zen, and Daoism) and Western science, new understandings previously not considered emerge. The Dao of Neuroscience is an insightful introduction to these traditions which sheds new light on the relationship between the mind and the brain. Dao is an ancient Eastern method, a Way or Path for exploring and learning. 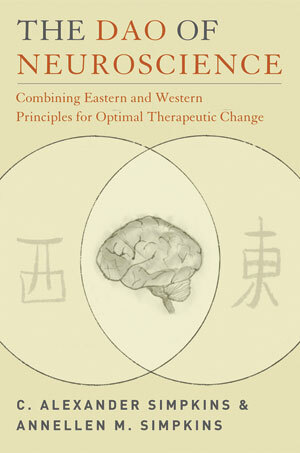 From the Eastern perspective, everything has its Dao, its Way, even the brain. As we learn the Dao of neuroscience, we come to understand the brain's most optimal ways of functioning and how to facilitate its natural processes toward health, happiness, and fulfillment.